It is that time of year to start thinking about sending your child to a summer camp. There are a lot of them out there to choice from. 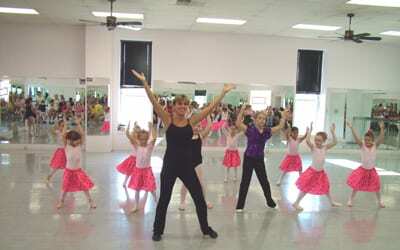 Dance camps are a very popular choice to send you child to. There are many benefits for the children that attend summer dance camps. At dance camps, kids can further develop their balance, agility, self-confidence, social skills, overall athletic abilities and many more. They get the chance to learn new skills while making new friends with kids that are interested in the same thing they are. Finding the right dance camp is very important. There are many different camps out there. Get in contact with your local dance studios and ask if they have day camp or summer camp options. There is also a lot of information on-line about different dance camps in your region. Also ask your child’s teachers and fellow parents for recommendations. When looking into the different dance camps in your area, there are some important questions to ask. The following are a few questions to keep in mind. What types of dance activities do they offer? How closely are they supervised while dancing? What is the security like at the camp? Is there medical personnel on staff? Is there early drop off/late pick up? What is the typical schedule at the camp look like? Dance camps offer many fun and exciting activities for kids. Children get to learn new dance routines, hone in on new skills, experience a variety of musical and dance styles and much more. Make sure that your child is ready for camp, so they can get everything they can out of it. It is all meant to be fun for them.